You have a million and one things going on in your mind. From work to home, you can deal with issues that just become a norm in your life. I like to coach women through how to deal with these stresses, but I want to address some health issues that you can address. These things don’t have to get out of control. You can tackle them head-on. 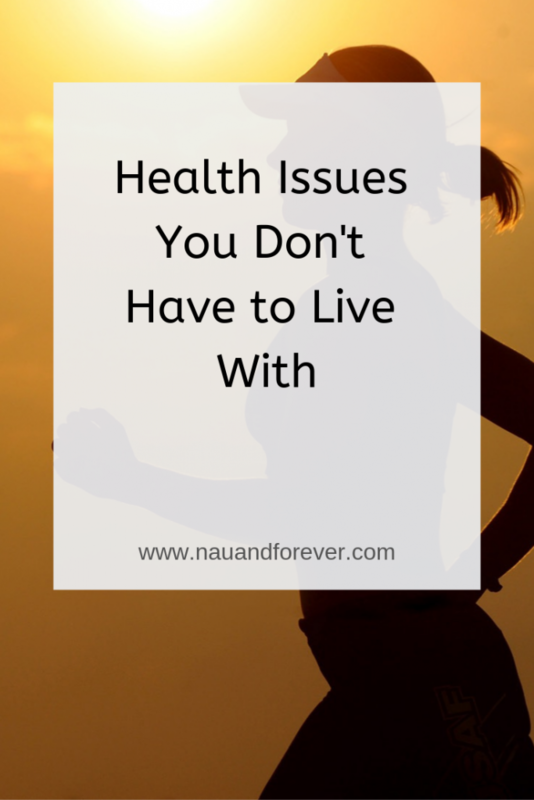 Let’s take a look at some health issues that you don’t have to live with. Gastro issues include all problems related to your stomach and parts of your esophagus. One of the most common things that people have is acid reflux. This can give you a really nasty burning pain in your chest or throat and can leave a horrible taste in your mouth. People tend to put up with it for months, even years, just putting it down to some heartburn. Luckily for you, if you’re a sufferer, acid reflux treatment is really effective. It can improve your quality of life so much. You might have to focus on things such as your diet alongside it so that you don’t aggravate the issue and cause symptoms. Probably one of the most common things that can happen to you. If you’re sitting down all day, your posture and muscles can come under a lot of pressure if you don’t treat them right. Young or old, doing light exercise like walking and stretching your muscles to keep them nice and limber will benefit you. Half of the time you’ll find that your muscles and joints are hurting because they’re seized up, tight, and lack a certain strength that they need to stay strong. So get moving! Sight and hearing issues can affect anyone, young or old. If you have these problems, be proactive. It can be a simple fix, but if you don’t address it, it can progress quickly. It can be easy to get down on yourself and think that there are certain things you’re just destined to have. But, that’s not the case. There are health issues you can treat and live a healthier life as a result!